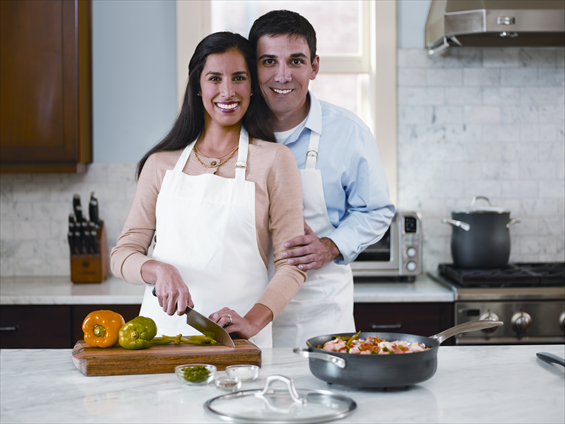 Home | The Gourmet Getaway Contest: Enter for a chance to win! The Gourmet Getaway Contest: Enter for a chance to win! 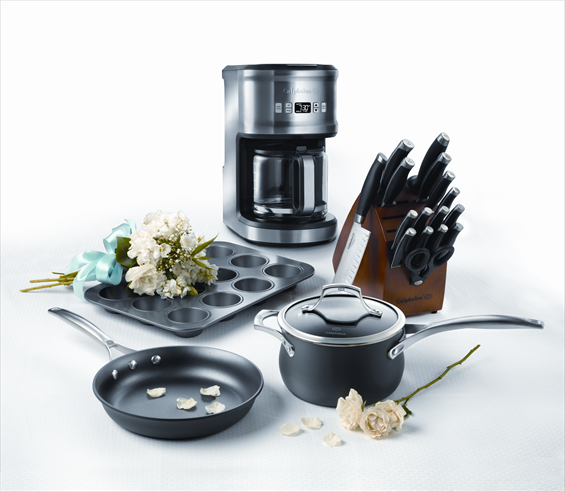 To enter, visit the Macy’s/Calphalon Giveaway on Facebook before February 13, 2012 (11:59pm EST) and submit a video explaining why you want a Calphalon Dream Kitchen Prize Package. Be sure to include how you would use it after the wedding (i.e. for entertaining, meals for two, parties, etc.). Entrants must live in the United States and be 21 years or older to enter. This giveaway is sponsored by Macy’s and Calphalon. Good luck! May the most charming video win! This giveaway is sponsored by Macy’s and Calphalon, not Emmaline Bride. This is a sponsored/promotion post. RELATED: Giveaway: Win a FREE Custom Wedding Canvas! Giveaway: Enter to Win Handmade Tea Towels! The Perfect Bridesmaid Clutch… with a Twist! Giveaway: Win a Personalized Bridal Robe! Giveaway: Win a FREE Custom Wedding Canvas!